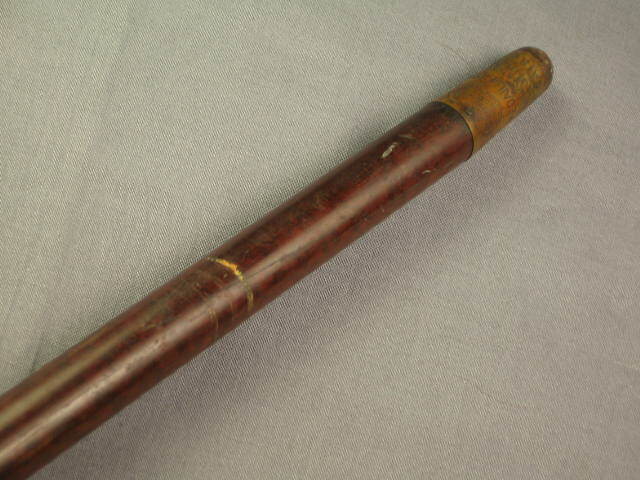 This listing is for a rare antique walking stick. 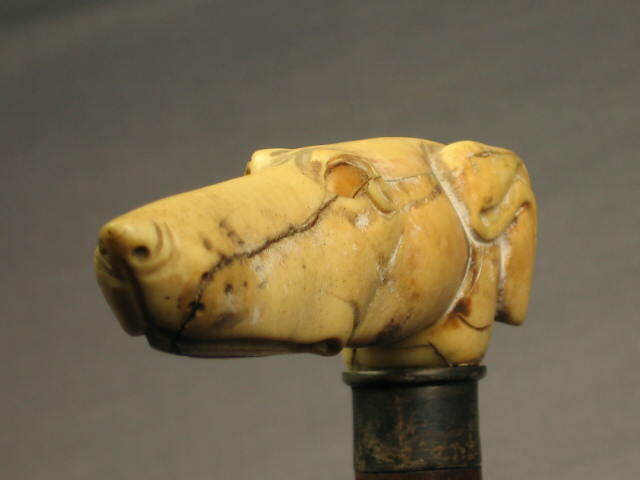 It features a wonderful greyhound head handle carved out of ivory or bone. 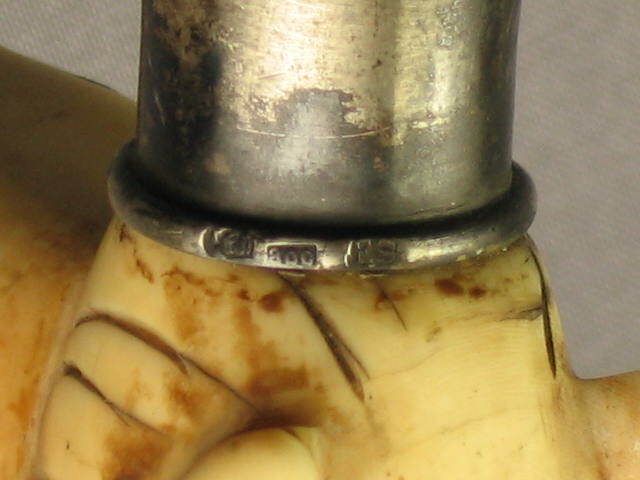 There is a .800 silver band below that is marked with the initials "FS." 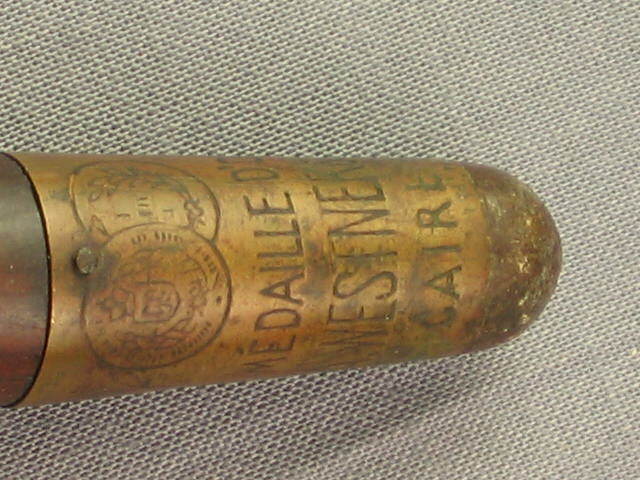 The bottom of the cane is marked "Medaille D'Or A. Westner & Co. 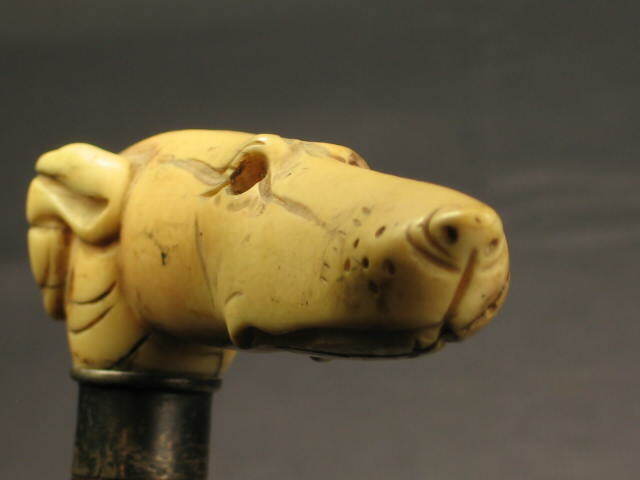 Caire." 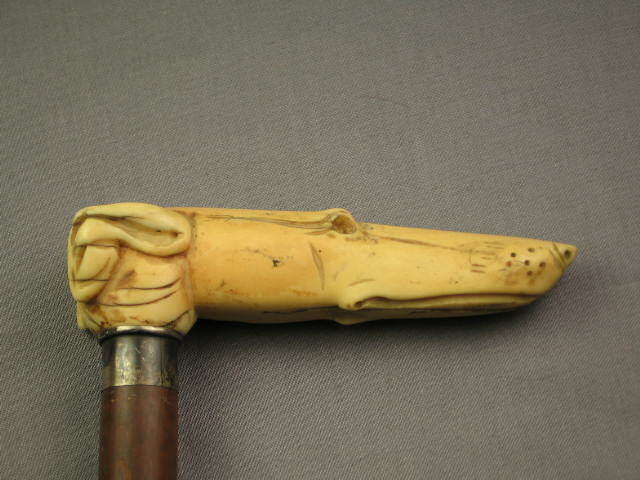 Based on our research, this cane was made in the late 1800s and the head may have once contained glass eyes. 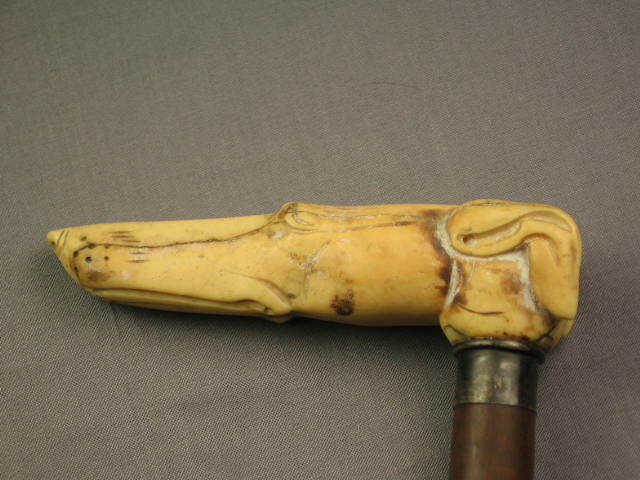 The cane measures about 34.75" inches long and the handle is about 4.5" inches long. 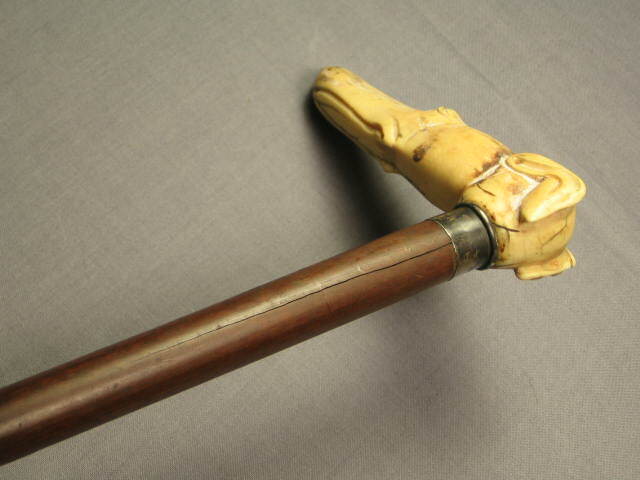 It's in good overall condition with some scuffs and cracks in the shaft and handle. This listing has no reserve price so don't miss your chance to win!